Where Can My Listing Go? We can send your Fusion Tour out to the sites below. More sites means more exposure and faster sales! A Fusion Exposure Engine Tour receives on average 40% MORE viewings than any other tour. We manage the syndication of your tour and your listing until closing. 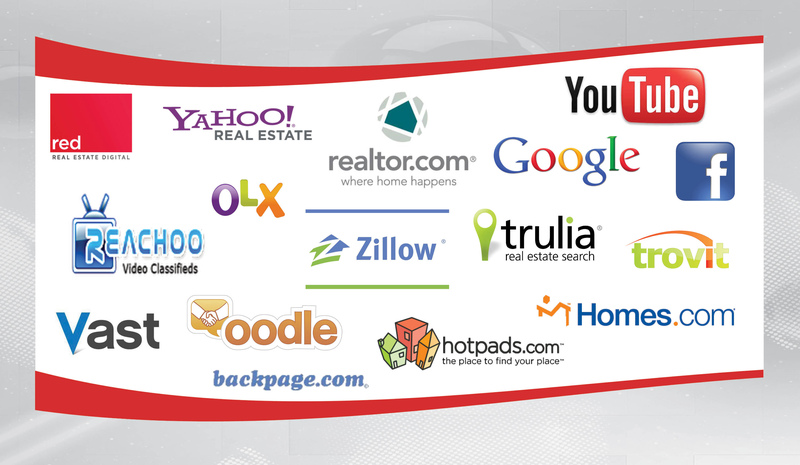 Your listing and tour will appear on Google, Realtor.com, Trulia, Zillow, Homes.com, Oodle, Yahoo Real Estate, Hot Pads, Vast and many more! Fusion Tours can link to Facebook, Twitter, Pinterest and Linkedin using the share button on the tour. Simply fill out the property information on the tour (including the MLS#), email us to say the tour is ready, and we do the rest!